The semester ended with a wonderful visit from Dr Wendy Hood – Tigga’s academic sister from grad school days, now an assistant prof at Auburn University. 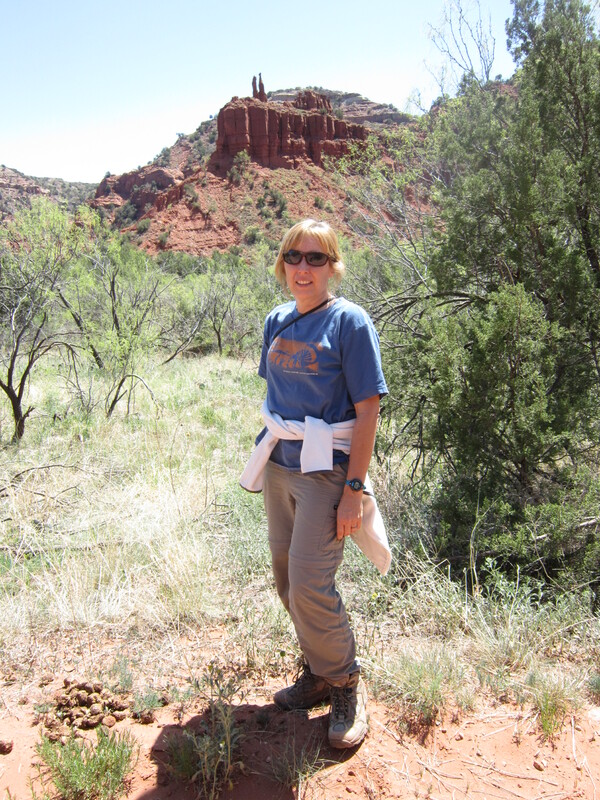 Wendy studies nutritional ecology of vertebrate growth, reproduction, and performance and gave the departmental seminar ‘Investigating the roles of nutrition, lactation, and bone metabolism in reproductive performance’, as well as going over some of her bat research in our lab meeting. 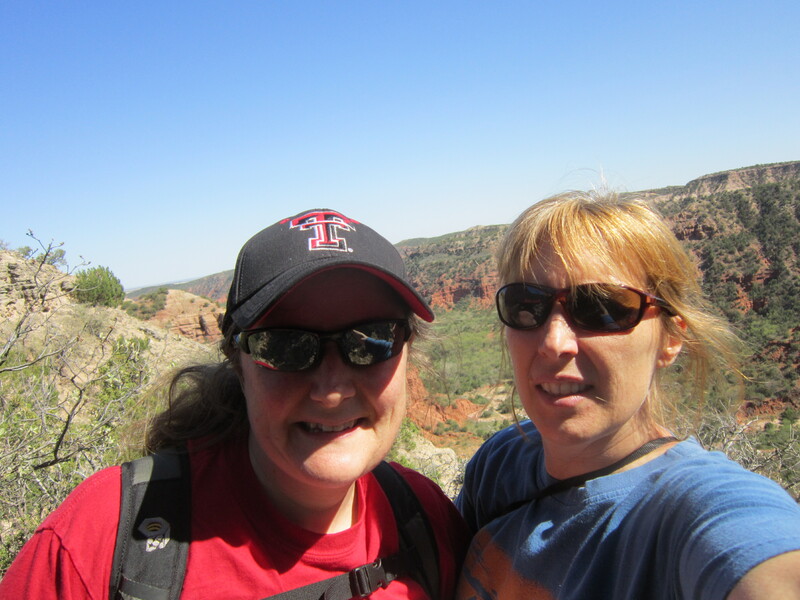 We then found time for a quick jolly to Caprock Canyon…..
Tigga and Wendy at Caprock Canyon — grad school sisters since Fall 1994!